The warmth and blue skies of recent days drew to a close as a band of rain passing through after dawn introduced fresher, breezy conditions. 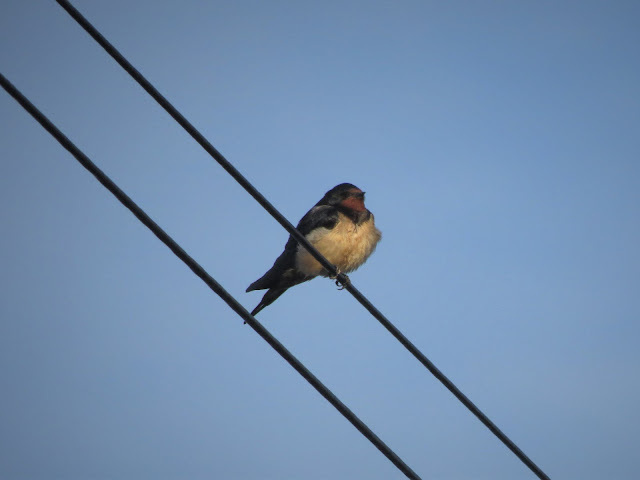 In contrast to the seemingly silent skies of recent nights (nocturnal recording had drawn a complete blank for two successive nights) the late hours of the night had seen a handful of thrushes on the move overhead; the daylight hours, too, came up with a trickle of grounded or visible migrants: a Wheatear was new in at the Bill, a few Chiffchaffs popped up in new locations and occasional single alba wagtails and Meadow Pipits arrived in/off through the morning. The only other reports were of 3 Common Scoter, 2 Red-throated Divers and a Black-headed Gull through off the Bill, 5 Purple Sandpipers still on the shore at the Bill and 5 Black-necked Grebes and a Slavonian Grebe still in Portland Harbour. 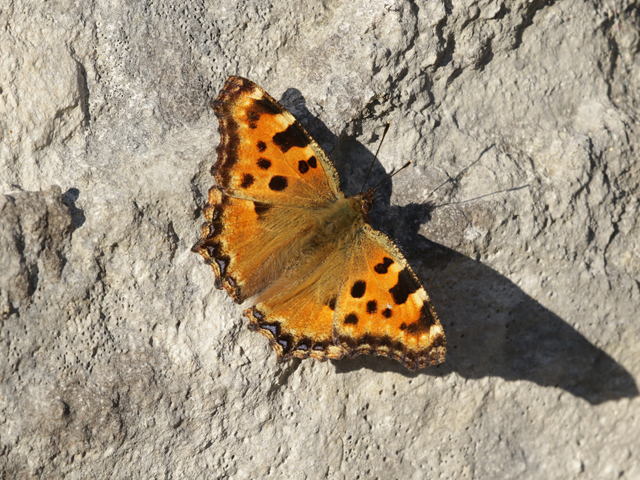 On what sounds as though it'll be the last day of the current unseasonably mild spell one of the Large Tortoiseshells continued to perform on occasions at Tout Quarry where a brief fly-by dragonfly was pretty certain to be a Vagrant Emperor even if a firm identification wasn't possible; Hummingbird Hawkmoth, Brimstone and Small White - all three firsts for the year - were also on the wing there. Bird interest was pretty minimal, with 5 Meadow Pipits, 2 Skylarks, a Sand Martin and a Siskin through at the Bill where 6 Purple Sandpipers and 2 Short-eared Owls were still about. 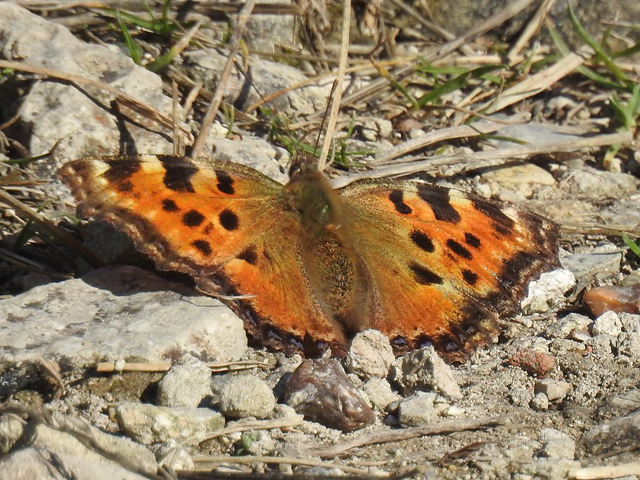 With the freaky, summer-like conditions continuing it was perhaps appropriate that butterflies stole the show today, with 2 Large Tortoiseshells showing at times at Tout Quarry; several Red Admirals and a Painted Lady were amongst the other butterflies logged today. On the bird front, the first 3 Sand Martins of the year - along with another Swallow - passed through on West Cliffs where a handful of incoming Meadow Pipits and 2 Song Thrushes were also on the move and the first Wheatear dropped in at Ferrybridge; a Curlew through off the Bill was another more or less on cue migrant. The only other report was of the Black Redstart still at the Bill. Another absolutely glorious day albeit with the warm sunshine ever so slightly tempered by a noticeable easterly breeze. Migrant interest came in the form of a very early first Ring Ouzel of the season at Penn's Weare, another Swallow through at the Bill, a single Meadow Pipit in/off and a small increase in Stonechats (4 new ones) at the Bill and a Snipe at Shepherd's Dinner; 5 Canada Geese over the Bill were most likely relatively local birds with typical spring wanderlust. Winterers still about included 4 Purple Sandpipers, 4 Short-eared Owls and a Black Redstart at the Bill and another Black Redstart and a Firecrest at Church Ope Cove. 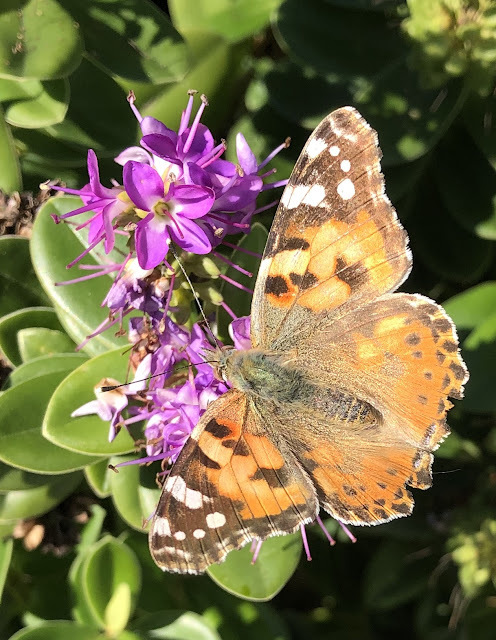 A Large Tortoiseshell (evidently first seen yesterday) was still at Tout Quarry, 4 Painted Ladys and a Red Admiral were at Church Ope Cove and another single Painted Lady was at the Bill. Despite perfect conditions for some legwork there looked to be few rewards on offer today: 14 Black-headed Gulls, 3 Common Scoter, 2 Mediterranean Gulls and a Red-throated Diver through off the Bill, 4 Rooks, 2 Collared Doves and a Chiffchaff on the land there, further single Chiffchaffs at both Church Ope Cove and Killick's Hill, one of the Black Redstarts also still at Church Ope Cove and a Merlin over Chesil Cove. With yesterday's murk and chill behind us there was another little flourish of early spring passage, with singles of Swallow and House Martin through at Ferrybridge and a few extra Blackbirds in at the Bill. Black Redstarts were still about at Church Ope Cove (2) and the Bill, 2 Short-eared Owls were again at the Bill where 8 Common Scoter passed by on the sea and, after dark, a Tawny Owl was calling at the Grove. 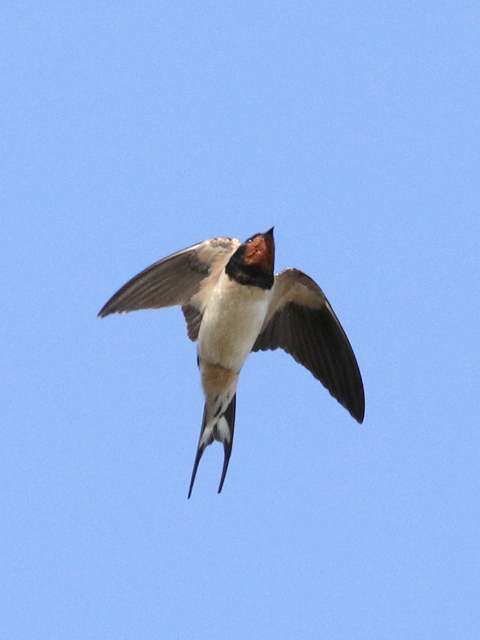 As if to prove the old adage resoundingly true, yesterday's Swallow certainly didn't make a summer. In fact today's grim mix of an overcast sky, murky reduced visibility and a biting easterly wind wasn't even remotely spring-like, with the only new arrivals being a Lapwing at the Bill, a Black Redstart at Weston and a passage of 130 Black-headed Gulls through off Chesil. Other list-fillers from those brave enough to be out searching included single Red-throated Divers through off the Bill and Chesil, a Short-eared Owl at the Bill, 2 Black Redstarts and 2 Chiffchaffs at Church Ope Cove/Pennsylvania Castle and 72 Dark-bellied and a Pale-bellied Brent Goose at Portland Harbour. 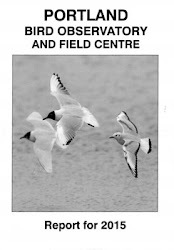 A reminder that there's an In Focus field event at the Obs between 10am and 4pm this Saturday, 23rd February. Barring a bit of mid-morning cloud today was by far the nicest day of the year to date and it almost didn't seem a surprise when a Swallow appeared over the Obs during the afternoon. Passage was otherwise limited to 6 Red-throated Divers (up-Channel passage now looks to be taking over from the hitherto random movements), a trickle of Common Gulls and 2 Black-headed Gulls through off the Bill, whilst regulars included 3 Short-eared Owls, 3 Greenfinches, 2 Black Redstarts and a Water Rail at the Bill and 2 Black Redstarts and 2 Goldcrests at Church Ope Cove/Pennsylvania Castle. A more of the same selection to report today: 4 Turnstones and 2 Short-eared Owls at the Bill, 7 Red-throated Divers and 7 Common Scoter through on the sea there, 4 Goldcrests and 2 Black Redstarts at Church Ope Cove/Pennsylvania Castle and 15 Black-necked Grebes, 2 Slavonian Grebes and a Red-necked Grebe in Portland Harbour. A pleasantly bright and mild day but largely uneventful on the bird front, with a trickle of Mediterranean Gulls off the Bill the only sign of passage. Routine winter fare also off the Bill included 3 more Red-throated Divers; 7 Purple Sandpipers and 2 Short-eared Owls were still about on the land there, Black Redstarts were again at Church Ope Cove (2) and Chesil Cove, and 5 Black-necked Grebes and a Great Northern Diver were in Portland Harbour. For the most part, today's visitors didn't get much of a feel for us being in the middle of a promising-looking spell of unseasonable warmth, what with drizzly showers and a couple of pulses of heavier rain being the order of the morning; however, a bright end to day came up trumps with the island's earliest ever Swallow putting in an appearance at the Grove. Passage earlier had been restricted to a handful of Black-headed, Common and Lesser Black-backed Gulls on the move off the Bill, where 6 Red-throated Divers and 3 Common Scoter also passed by. Long-stayers still about included 6 Purple Sandpipers, 2 Short-eared Owls, a Black Redstart and a Chiffchaff at the Bill and 2 more Black Redstarts and a Chiffchaff at Church Ope Cove; 2 Greenfinches were also of note at Ferrybridge. On an immigrant-free night in the Obs moth-traps singles of Hebrew Character, Common Quaker and Oak Beauty - all first records for the year - provided some minor interest. 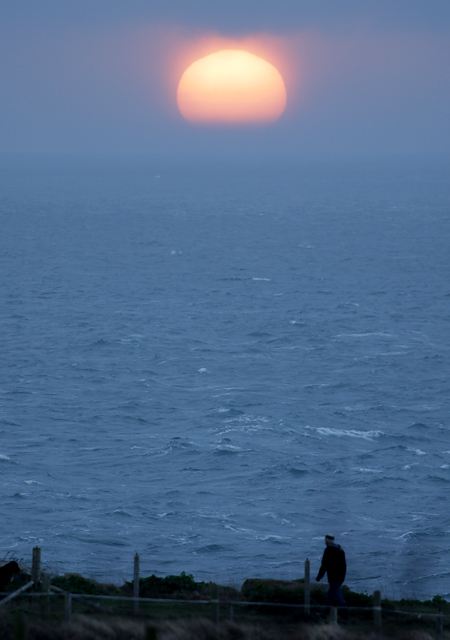 Portland Bill: Common Scoter 7, Mediterranean Gull 4, Red-throated Diver 3, Great Skua 1, Black Redstart 1. Pennsylvania Castle/Church Ope Cove: Goldcrest 2, Black Redstart 1, Chiffchaff 1. 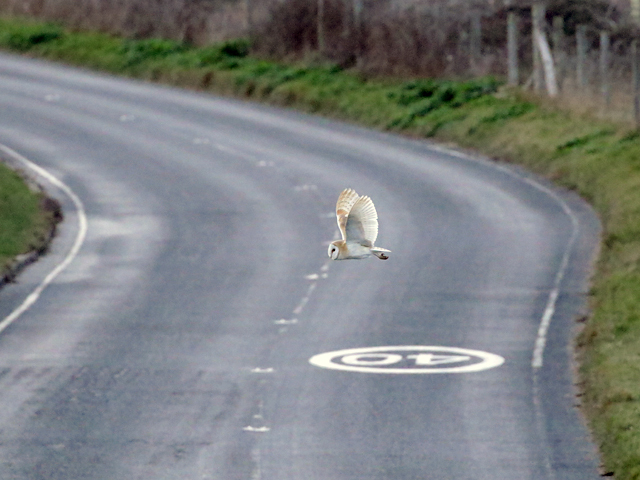 Portland Bill: Short-eared Owl 3, Chiffchaff 1. East Weare: Red-throated Diver 1, Common Scoter 1. Hamm Beach: Black-necked Grebe: 2. Immigrant moths: Small Mottled Willow 1 at the Obs. Portland Bill: Red-throated Diver 10, Common Scoter 7, Meadow Pipit 6 in/off, Mediterranean Gull 5, Shoveler 4e, Short-eared Owl 3, Brent Goose 1, Black Redstart 1, Chiffchaff 1. Church Ope Cove: Chiffchaff 2, Black Redstart 1. Portland Harbour: Black-necked Grebe 4, Slavonian Grebe 1. Portland Bill: Red-throated Diver 6, Turnstone 3, Short-eared Owl 3, Skylark 2 in/off, Redwing 2, Rook 2, Greenfinch 2, Grey Heron 1, Red-legged Partridge 1, Barn Owl 1, Collared Dove 1n, Black Redstart 1, Chiffchaff 1. Chesil: Common Scoter 5, Red-throated Diver 4. Portland Harbour: Black-necked Grebe 8. Portland Bill: Red-throated Diver 6, Short-eared Owl 3, Common Scoter, 1, Black Redstart 1, Redwing 1. Church Ope Cove: Black Redstart 2. Portland Harbour: Black-necked Grebe 12, Slavonian Grebe 2, Black-throated Diver 1, Great Northern Diver 1, Red-necked Grebe 1. Portland Bill: Red-throated Diver 14, Black-headed Gull 11, Common Scoter 8, Mediterranean Gull 3, Short-eared Owl 3, Shelduck 1, Black Redstart 1, Chiffchaff 1. Church Ope Cove: Black Redstart 1. Chesil Cove: Black Redstart 1. Verne Common Estate: Chiffchaff 1. 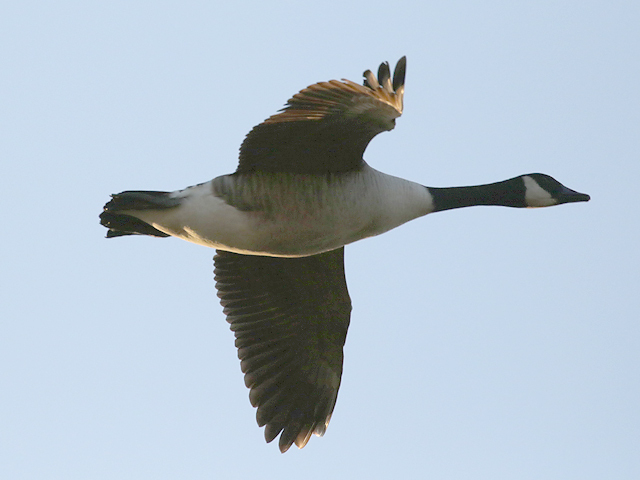 Ferrybridge: Pale-bellied Brent Goose 2. Portland Harbour: Black-necked Grebe 11, Slavonian Grebe 2, Black-throated Diver 1, Great Northern Diver 1, Red-necked Grebe 1, Kingfisher 1. Portland Bill: Red-throated Diver 31, Greenfinch 3, Short-eared Owl 2, Black Redstart 1, Chiffchaff 1, Reed Bunting 1. Portland Castle: Chiffchaff 4, Black Redstart 1. Portland Harbour: Black-necked Grebe 20, Slavonian Grebe 2, Black-throated Diver 1, Great Northern Diver 1, Common Scoter 1. Portland Bill: Red-throated Diver 4, Common Scoter 2, Black-headed Gull 1. Pennsylvania Castle/Church Ope Cove: Goldcrest 4, Black Redstart 2, Chiffchaff 2. Portland Bill: Red-throated Diver 8, Turnstone 5, Mediterranean Gull 3, Grey Heron 1. Ferrybridge: Bar-tailed Godwit 2, Knot 1. Portland Harbour: Black-necked Grebe 10, Black-throated Diver 1, Great Northern Diver 1. Portland Bill: Red-throated Diver 4, Black-headed Gull 1, Redwing 1. Portland Bill: Purple Sandpiper 5, Red-throated Diver 2, Black Redstart 1. Church Ope Cove: Black Redstart 2, Chiffchaff 1. Ferrybridge: Pale-bellied Brent Goose 1, Knot 1. Portland Harbour: Black-necked Grebe 7. Portland Bill: Red-throated Diver 16, Redwing 3, Short-eared Owl 2, Black Redstart 2, Chiffchaff 2. Church Ope Cove: Black Redstart 3, Chiffchaff 1. Wakeham: Great Spotted Woodpecker 1. Weston: Chiffchaff 1, Goldcrest 1. Ferrybridge: Bar-tailed Godwit 2, Pale-bellied Brent Goose 1. Portland Harbour: Goosander 3, Great Northern Diver 1, Common Scoter 1. Portland Bill: Red-throated Diver 2, Brent Goose 2, Grey Heron 1, Black-headed Gull 1, Chiffchaff 1. Ferrybridge: Dunlin 240, Dark-bellied Brent Goose 140, Ringed Plover 40, Pale-bellied Brent Goose 1, Knot 1. Portland Harbour: Red-necked Grebe 1. 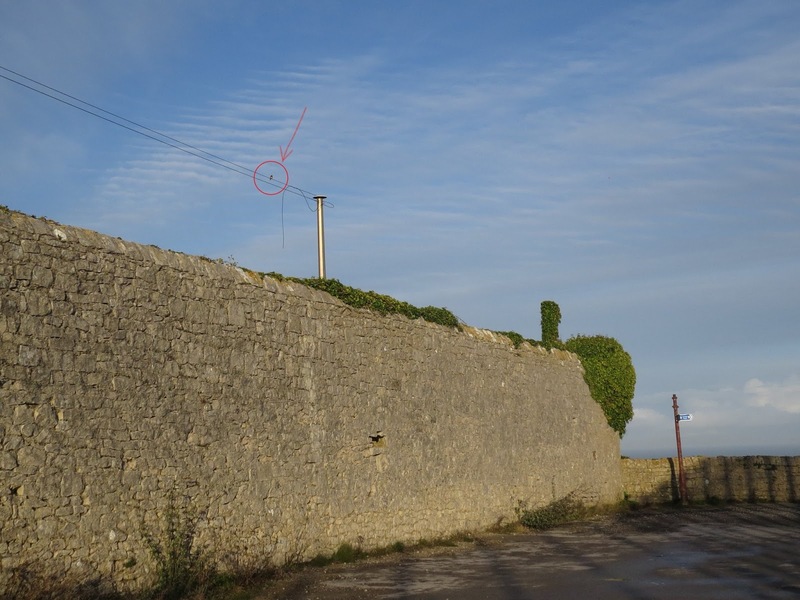 Although there was another sharp overnight frost (it was reported to have been the coldest night of the winter so far on the island) the day dawned clear and sunny with a westerly breeze seeing to it that the temperature rose quite rapidly. 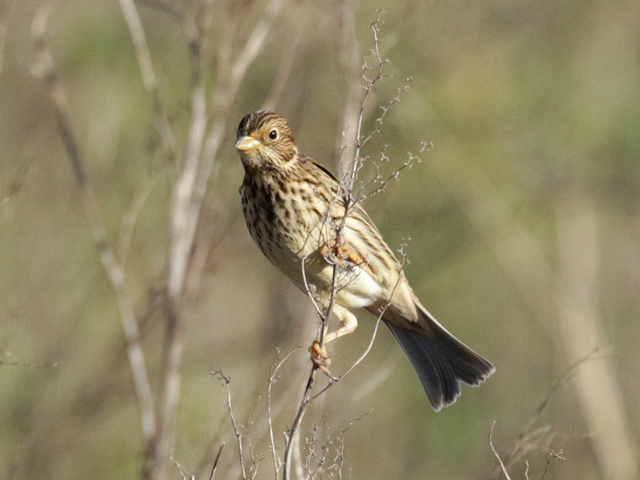 Not surprisingly, the cold weather bonanza didn't last with only Redwing still reaching a three figure total at the Bill; 90 Golden Plovers hung on there for while but Fieldfare barely made double figures, Lapwing was completely absent and singles of Snipe, Reed Bunting and Corn Bunting provided a little further interest. Routine sightings included 5 Red-throated Divers through off the Bill, 3 Greenfinches, 2 Purple Sandpipers and 2 Chiffchaffs on the land there, 3 Blackcaps and a Goldcrest at Southwell, 2 Black Redstarts and 2 Chiffchaffs at Church Ope Cove, another lone Black Redstart at the Grove, the Black Guillemot and the Red-necked Grebe amongst the regulars in Portland Harbour and 5 Curlew, 2 Bar-tailed Godwits and a Redshank at Ferrybridge. With a sharp overnight frost giving way to glorious sunshine today provided much more enjoyable birding conditions than yesterday and although the numbers had dwindled there was still plenty of interest around the island. The cold weather movers were again spread far and wide with a noticeable component of northbound movement off the island through the morning; day-totals looked to be in the region of 2000 Redwings, 400 Golden Plovers, 300 Fieldfares and 100 Lapwings, with 4 Cattle Egrets over Ferrybridge a nice surprise and a scatter of 3 Mistle Thrushes and singles of Brambling, Reed Bunting and Corn Bunting additional bonuses. A reappearance by the Portland Harbour Black Guillemot was welcome after it had been missed/overlooked for a fortnight, with 20 Black-necked Grebes, 3 Slavonian Grebes and singles of Black-throated Diver, Great Northern Diver and Common Scoter also there. Regulars on view included 6 Purple Sandpipers and 2 Chiffchaffs at the Bill, 17 Red-throated Divers and 2 Common Scoter through on the sea there and 2 Black Redstarts and 2 Chiffchaffs at Church Ope Cove. 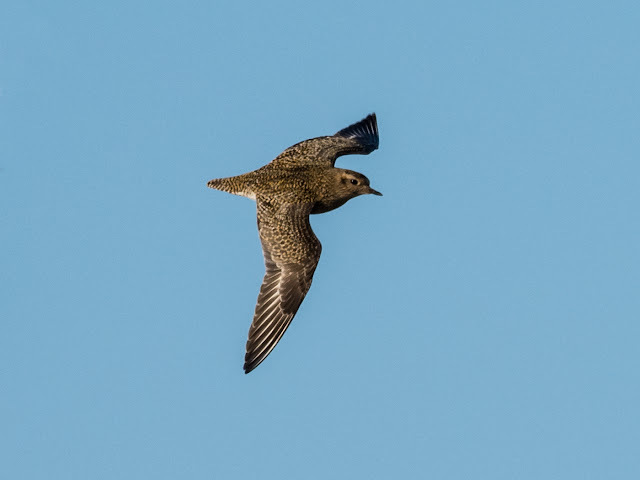 There used to be a time when cold weather movements were pretty straightforward: it snowed on the mainland and Portland filled up with displaced refugees and was a great watchpoint for observing birds fleeing high overhead towards the Continent. If that's the norm then the last year has been much more unconventional: the island missed out to a great extent during the infamous 'Beast from the East' back in March 2018, whilst today came up with a largely northbound passage of birds. Overnight snowfall was restricted to the higher parts of the island and, apart from not amounting to much, had largely disappeared by dawn; however, in rapid response to more distant snowfall quantities of Golden Plovers could be heard on the move over the Bill throughout the night (we logged 24 flocks at the Obs in a two and three-quarter hour sound recording session from 1am before the batteries in the recorder died!) 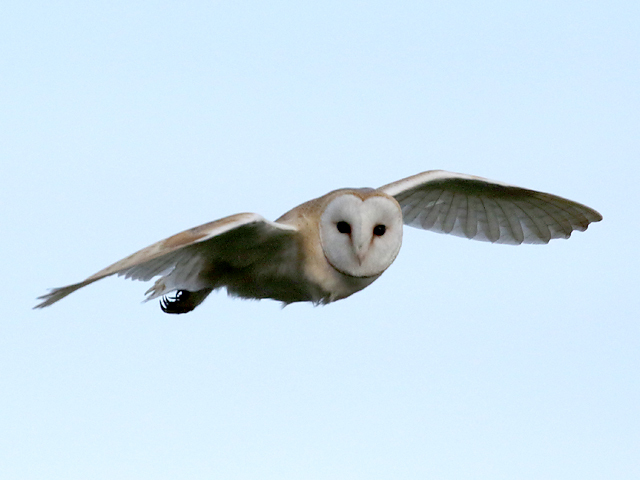 and it was this species that returned the best numbers from the early rounds after dawn. Before long though Redwings begun arriving from the southwest and these proved to be the precursors to a steady day-long passage - plenty lingered for periods on the unfrozen horse paddocks throughout the island but the general impression was of a constant throughput of birds, this being further confirmed by observations at Ferrybridge during the afternoon where there was a constant passage of flocks leaving to the northwest along Chesil. 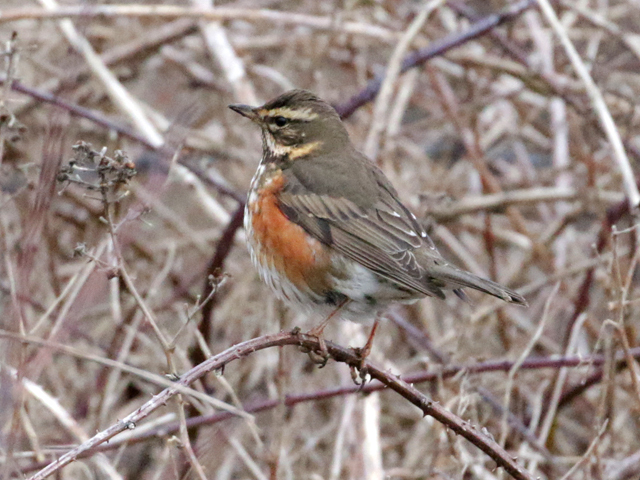 With no particular flyway favoured it was really difficult to get any sort of handle on numbers but it seems unlikely there were fewer than 10000 Redwings in total. Back-up day-totals - again, informed guesses rather than accurate counts - included 2000 Fieldfares, 800 Golden Plovers, 250 Lapwings and a Mistle Thrush, whilst there were modest increases of a few dozens in the totals of grounded Skylarks, Meadow Pipits and Linnets; further incongruous sights included Common Gulls, Black-headed Gulls and a Mediterranean Gull grounded in the East Cliff fields where they're customarily most infrequent. 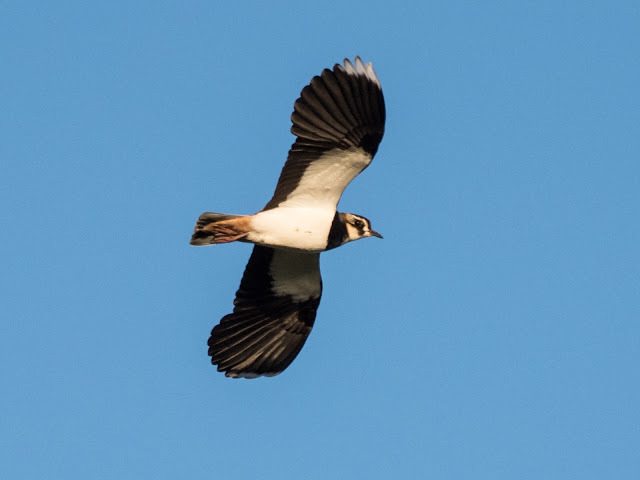 The likes of Woodcock, Snipe and Jack Snipe were completely absent. Routine fare making the list included 3 Purple Sandpipers, a Short-eared Owl and a Chiffchaff at the Bill, 5 Red-throated Divers and a Shelduck through on the sea there, 3 Blackcaps at Southwell, 2 Black Redstarts at both Church Ope Cove and Chesil Cove and a single at Reap Lane, 167 Brent Geese and a Redshank at Ferrybridge and 4 Black-necked Grebes, a Slavonian Grebe and a Common Scoter in Portland Harbour.